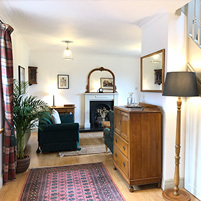 Glenmuir Cottage is centrally located in the ancient and historic town of Royal Dornoch in Sutherland, Scotland. 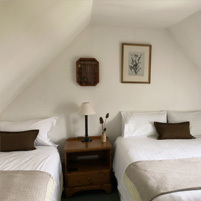 The Cottage has sleeping accomodation for up to six people with a King-size double and single bed in each of the two bedrooms. 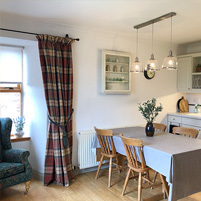 The cottage is situated in Dornoch a village with shops and most services. There is a superb beach and Golfers are well catered for. 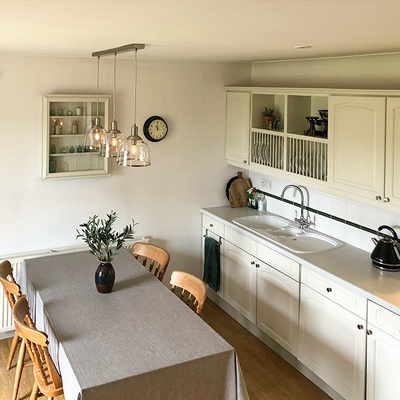 Glenmuir Cottage is maintained to the highest standards and a Welcome Pack awaits you when you arrive. Electricity and Central Heating, Linen and Towels are ALL included in the weekly tariff. 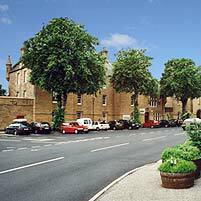 Whilst staying in Dornoch you are ideally located for visiting most parts of the Highlands of Scotland. Inverness is less than 1 hour distant and if you are feeling adventurous the north costal towns of Wick and Thurso are within easy reach. The drive through the ever changing countryside is superb. Ullapool on the west coast and the Gardens at Inverewe are also an ideal day trip.